Since the advent of the internet, the world has become a much smaller place, with music lovers suddenly having access to music from each of the seven continents in the world. With one click of a mouse, it’s possible to hear traditional and current music from any one of the 195 countries in the world. That wouldn’t have been possible thirty years ago. Now that it is, many music lovers have a much more educated musical palate, and an eclectic taste in music. Music lovers are also much more receptive to music from other parts of the world, and curious to hear the similarities and differences to music made elsewhere in the world. That music has one thing in common…it’s made by people just like them. It doesn’t matter where they’re from or how that country has been portrayed by politicians and the press. This includes Iran, where the population are no different from people elsewhere in the world. They have the same hopes, aspirations and dreams. Despite that, Iran is often portrayed in the West as the ‘Heart of Darkness’ or ‘The Land of Fear’ that was located within the ‘Axis of Evil.’ It seemed that a generation of journalists were paid by how many clichés they could squeeze into one article full of sweeping generalisations. While the journalists knew the geopolitical history of the region, they had no idea what the twelve million people who live in Tehran thought about what was going on in their country. The journalists overlooked that for many years, twelve million people lived in constant fear, and were forced to dodge bombs that were dropped from on high as they went about their daily business. The majority of journalists writing opinion pieces from the comfort of their homes in London and New York knew very little about this, and certainly knew very little, if anything, about Iran’s culture, cuisine, art and music. 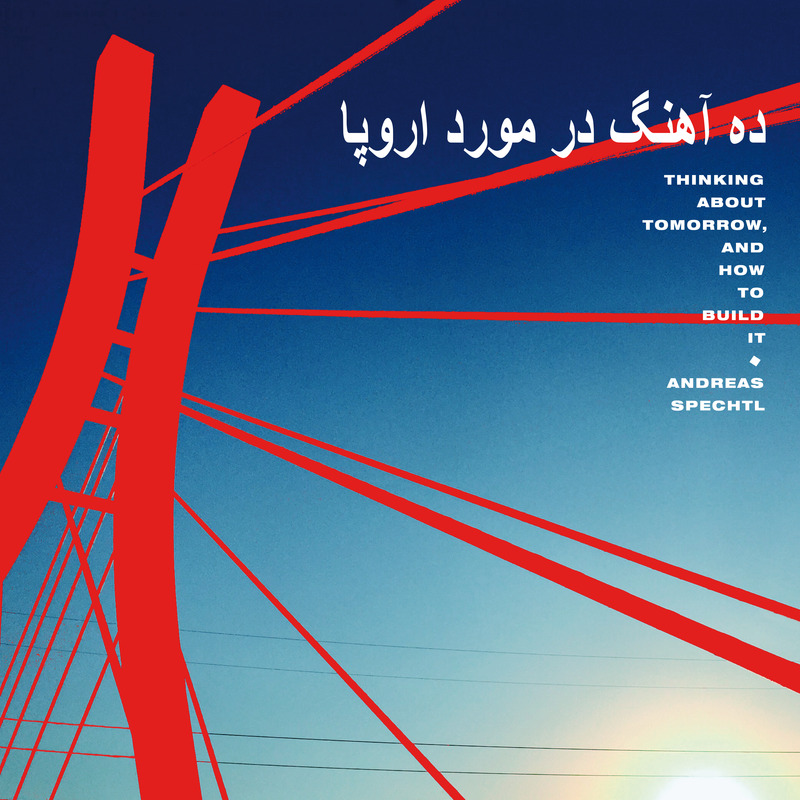 One man who knows all about Iran’s culture, cuisine, art and especially its music is Andreas Spechti, who spent two months in Tehran during the winter of 2016/17 recording his forthcoming album Thinking About Tomorrow, And How To Build It during the winter of 2016/17. Andreas Spechti’s debut album will be released by Bureau B on the ‘17th’ of November 2017, and is a captivating genre-melting album where cultures collide and seamlessly make sense on Thinking About Tomorrow, And How To Build It. The story behind Thinking About Tomorrow, And How To Build It began in the winter of 2016/17, when Andreas Spechti left behind his adopted home in Berlin, Germany and returned to Tehran, in Iran which was where his home studio was still situated, and where he planned to record his debut album. Many of his friends must have been wondering why Andreas Spechti had to make the journey to Tehran, when he could just as easily have recorded the album in Berlin, where there were many recording studios he could’ve used? Having left behind his home comforts in Berlin, Andreas Spechti boarded a flight to Tehran. When he arrived in the city that would be his home for the next two months, straight away, Andreas Spechti was struck be the energy within Tehran as twelve million people went about their daily business. The only problem was that Andreas Spechti was unable to understand the language. Through time, the language became like a type of ambient music that provided the backdrop for daily life in a city where so much could be possible. Sadly, much is still forbidden and repression is still part and parcel of daily life. Despite that, during his two month stay in Tehran, Andreas Spechti put on ten concerts at his home studio. To get to the shows, taxis ferried the concert-goers through the traffic jams that clog up the capital’s roads. Sometimes, they’re gridlocked and the traffic grinds to a halt, as the temperatures to drop and cane reach minus ten, as snow falls. Meanwhile, the passengers who are furtively trying to get from one apartment to another, sit frustrated in the back. Especially if they’ve asked the taxi driver is taking them on a clandestine journey to somewhere where a private space is about to be transformed into a public space and become a Hidden Home. That was the case in during the ten nights that Andreas Spechti put on the concerts in his home studio. Suddenly, the studio was transformed quickly into what are known as Hidden Homes, that exist across Tehran. In each of these Hidden Homes, music or a cultural event takes place in defiance of the government, who would’ve punished those who put on and attended the shows. Throughout the rest of his two month stay in Tehran, where auteur Andreas Spechti composed what he calls the ten “diary entries” that became Thinking About Tomorrow, And How To Build It. It’s a deeply personal, multifaceted album where Andreas Spechti invites the listener to look deep into the soul. This harks back to Arthur Rimbaud’s letter to Paul Demeny on May the ’15th” 1871 where he wrote: “Je est un autre” (“I am another”). In doing so, he affirms an original conception of artistic creation, that the poet doesn’t control what is expressed in him, no more than the musician. Instead, the work takes root and Rimbaud continues: “I attend the hatching of my thought: I look at it, I listen to it”. That is what Andreas Spechti spent two months doing in Tehran. During his time spent in Tehran during the bitterly cold Persian winter, the album Thinking About Tomorrow, And How To Build It gradually started to take shape. It’s mostly an instrumental album, which is something that some people who know Andreas Spechti find strange. After all, he has said in the past “I have always been enchanted by the beauty of language.” However, a mostly instrumental album makes sense if Andreas Spechti was trying to create a musical diary. In Tehran, like the rest of Iran, free speech is neither allowed nor encouraged. As a result, the ten soundscapes in Andreas Spechti’s musical diary would be based upon the sounds that he heard as he made his way the sprawling and vibrant metropolis that is Tehran. The only time the people Andreas Spechti met could speak freely were in the Hidden Homes. So it makes sense that mostly, Thinking About Tomorrow, And How To Build It is an instrumental album. While Andreas Spechti was recording Thinking About Tomorrow, And How To Build It in Tehran, tragedy struck in his adopted home city of Berlin, when a terrorist attack took place at the Christmas market on Breitscheidplatz on the ‘19th of December 2016. Andreas Spechti had no idea if any of his friends had been caught up in the carnage and devastation. By then, Thinking About Tomorrow, And How To Build It became an even more poignant album. As Andreas Spechti continued to work on Thinking About Tomorrow, And How To Build It. The musician was drawing inspiration from those who had influenced him, including Kosmische Musik pioneers Can and sonic sculptor Conrad Schnitzler. They influenced Andreas Spechti as he sampled traditional Persian percussion and stringed instruments which were rearranged and became part of complex, multilayered soundscapes. These also feature a multitude of samples and sounds plus contemporary drumbeats and rhythms. They’re treated by a myriad of effects, including low and high pass filters as Andreas Spechti shapes and sculpts the ten soundscapes that diarise his time in Tehran. Opening Thinking About Tomorrow, And How To Build It is 2016, an atmospheric soundscape where the sounds of everyday life in Tehran provide the backdrop to li-fi synths. Soon, they shimmer and become futuristic and dramatic as they dominate the soundscape. They also create ruminative backdrop that invites reflection as washes of sound soar powerfully and dramatically above the rest of the arrangement. Latterly, a sprinkling of percussion joins a bass synth as the soundscape reaches a crescendo and sets the bar high for the rest of the album. Inspiration for Future Memories was the people of Tehran’s optimistic outlook towards the future. Samples stringed of instruments plink plonk and combine with percussion before a stabs of a bass synth provides a contrast to Andreas Spechti’s vocal. He’s a talented lyricist whose lyrics are full of social comment. When he sings of: “Future Memories hunting you” the sound of soldiers marching ominously is replicated and sits amidst squelchy meowing synths and crisp drumbeats. Later, synths soar, squeak, sweep and beep and combine with drumbeats to create a captivating fusion of electronica, avant-dance and social comment. The same optimism provided the inspiration for TMRRW, as synths meander, drone and reverberate while keyboards play. There’s a much loose, improvised sound as sounds reverberate and echo, before blasts of whistle signal the emergence of a tighter sound. Samples of stringed instruments join droning synths before beeps, speaks and a pulsating bass synth usher in a vocal that sings: “thinking about tomorrow.” By then, dance-floor friendly and irresistible describes the soundscape as an array of samples and sounds accompany the vocal as it sings: “Thinking About Tomorrow, And How To Build It. Growling, braying jazzy horn feature throughout most Interlude 1 (Of Sound Mind), which allows time to reflect on the album and the subjects its broached so far, and what has to come. This includes a piece of dialogue that says: “there’s nothing to lose” which accompanied by sounds and samples. That is easy for people in Western Europe to say, where there’s such a thing as free speech. Sadly, that isn’t the case in Iran in 2017. Maybe that will change one day soon? Mesmeric describes the introduction to Things as a short sample is repeated. Soon, drumbeats are added and collide before a bass drum signals that a dance-floor friendly track is about to emerge. Synths, handclaps and drumbeats combine, and soon, are joined an ethereal synth and effects-laden vocal. Effects are used on other synths, samples, sounds and drums as they’re deployed and become part of this carefully crafted dance-floor filler. A crackling sound opens Africa Blvd, and accompanies samples of percussion before drum rolls and a bass synth become part of the soundtrack. African percussion accompanies the bass synth, and provides the perfect contrast as the soundscape gradually takes shape. Keyboards and later stringed instruments, crisp drumbeats and a sultry saxophone accompany sonic sculptor and adventurer Andreas Spechti’s vocal. Every sample, sound and instrument he adds to mix plays a part in the success of Africa Blvd. So does the sample of dialogue, which closes the track which is one of the album’s highlights. Interlude 2 (Loops of Wisdom) offers another opportunity for replication as Andreas Spechti mixes samples of sound, sounds and dialogue to create a catchy and memorable genre-melting short soundscape. Drums reverberate and roll as The Age Of Ghost begins to unfold. They’re combined with distant samples and sounds as effects are deployed. Soon, the music becomes shrill, dramatic and eerie before a futuristic vocal gives way to a growling bass synth, drumbeats and percussion. Later, the futuristic vocal interjects as the soundscape becomes eerie and ominous. The growling bass joins beeps, squeaks and a myriad of percussion are joined by a wistful horn and industrial sounds before the soft, tender vocal offers a contrast. It sounds as if it belongs on an eighties synth pop album as it delivers the thoughtful lyrics, and is the final piece of the musical jigsaw. Closing Andreas Spechti’s debut album Thinking About Tomorrow, And How To Build It is Hidden Homes where he played ten concerts in Tehran. Synths meander, ebbing and flowing, before bells ring as samples interject. Soon, Andreas Spechti deliberate vocal is singing of the Hidden Homes and what goes on behind closed doors. This he does against a backdrop of synths that continues to ebb and flow as drums provide the heartbeat. Later, they’re joined by sound and samples that sometimes replicate the sound of Tehran by night. Meanwhile, the vocal is shrouded in effects adding to the drama, before the rest of this truly powerful track unfolds. 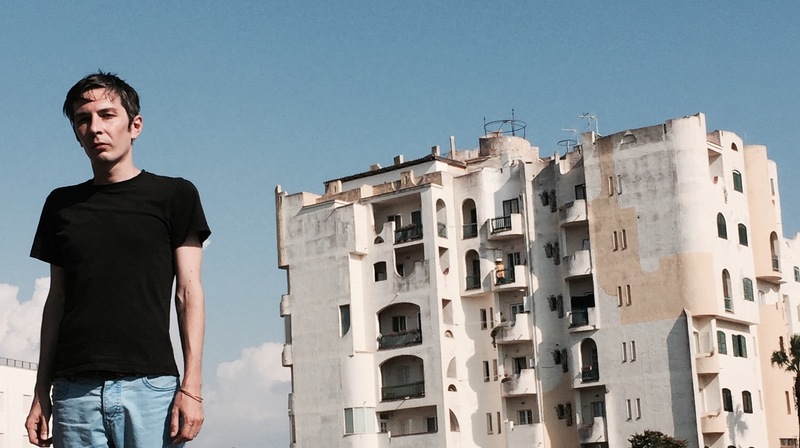 Over the ten genre-melting tracks, Andreas Spechti documents on his debut album Thinking About Tomorrow, And How To Build It the two months he spent recording the album in Tehran. He combines elements of disparate genres ranging from electronica and contemporary dance music, to avant-garde, ambient, experimental, improv, industrial, jazz and musique concrète. These genres are part of the carefully crafted and captivating musical tapestry that is Thinking About Tomorrow, And How To Build It, which will be released by the Hamburg-based label Bureau B on the ‘17th’ of November 2017. Thinking About Tomorrow, And How To Build It documents the two month period that sonic explorer and adventurer Andreas Spechti spent in Tehran, during the winter of 2016/17. During that period he created the ten soundscapes on Thinking About Tomorrow, And How To Build It. A century ago, someone travelling to a distant land as part of a Grand Tour, would’ve documented their thoughts onto a leather-bound diary. Now all a musician needs is a Digital Audio Workstation and an array of samples and sounds. That was what accompanied Andreas Spechti as he reflected and ruminated, and recorded the ten soundscapes on Thinking About Tomorrow, And How To Build It. The inspiration for the album was the two months he spent in the sprawling city of Tehran over the Persian winter 2016/17, and the people he met, and made him feel welcome. Sadly, during his stay in Tehran, tragedy struck in his adopted home city Berlin, and his thoughts turned to those he had left behind. However, the remainder of the time Andreas Spechti spent in Tehran was spent making music, and meeting some of the twelve million people that call the city home. Despite its history, the people of Tehran are looking to the future rather than the past, and proof of this is tracks like TMRRW and Future Memories. It’s as if the people of Tehran know, that the future will be better than the past. They certainly aren’t afraid of the future, and what it brings. The people of Tehran are optimists, and believe that life will improve and that one day they will be able to celebrate, embrace and enjoy the art and music that is made in the Iranian capital. Sadly, they were unable to that with Andreas Spechti during his two month stay in Tehran. However, Andreas Spechti played ten concerts behind closed doors in one of the city’s Hidden Homes, while he was recording his forthcoming album Thinking About Tomorrow, And How To Build It, which is a powerful, dramatic, cerebral and thought-proving album. Tagged: Andreas Spechti, Bureau B, Thinking About Tomorrow And How To Build It.